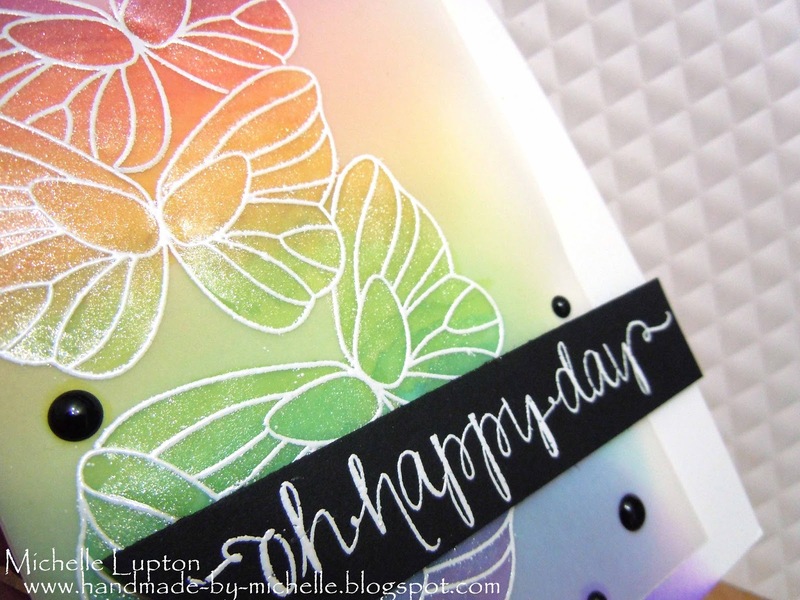 Here is a close-up of the beautiful sentiment from Avery Elle first stamped with Versamark Ink then covered with AC Zing Pink Glitter Embossing powder. I just love the sparkle it gives my card. The “Sentimental” set is very versatile! I just love the script of the larger words. Don’t forget that our rainbow challenge is still going on and we hope you play along with us! 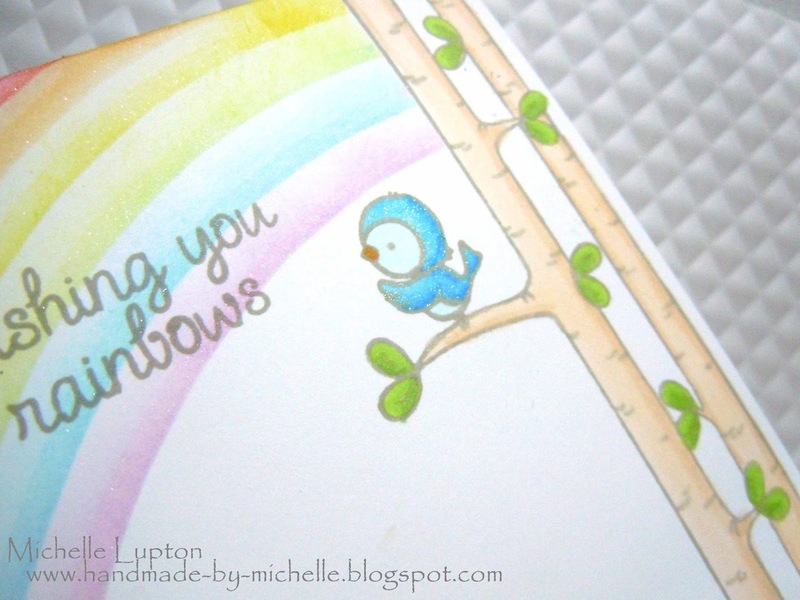 A soft rainbow and a bluebird! Elle’s brand new stamp sets, “Woodland Wonders” for a simple one-layer card. coloured arc of the rainbow. I finished with a coat of Wink of Stella for the rainbow and the bluebird. Thanks heaps to Avery Elle for their sponsorship this month! 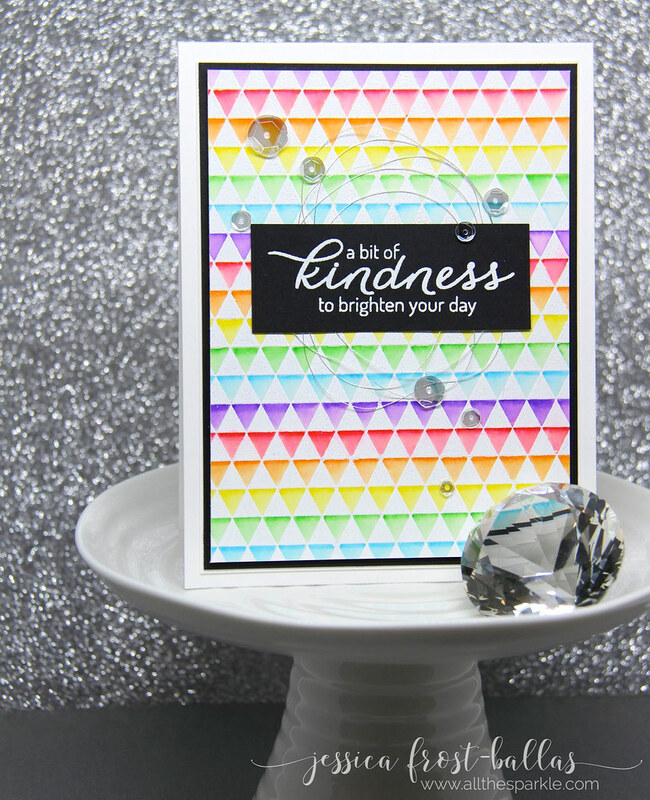 Make sure you join in with this month’s challenge – you’ve gotta love a rainbow! I am seriously in heaven this month! Rainbows? And Avery Elle? SWOON!!! Have you entered out monthly challenge yet? Our wonderful sponsor is Avery Elle! 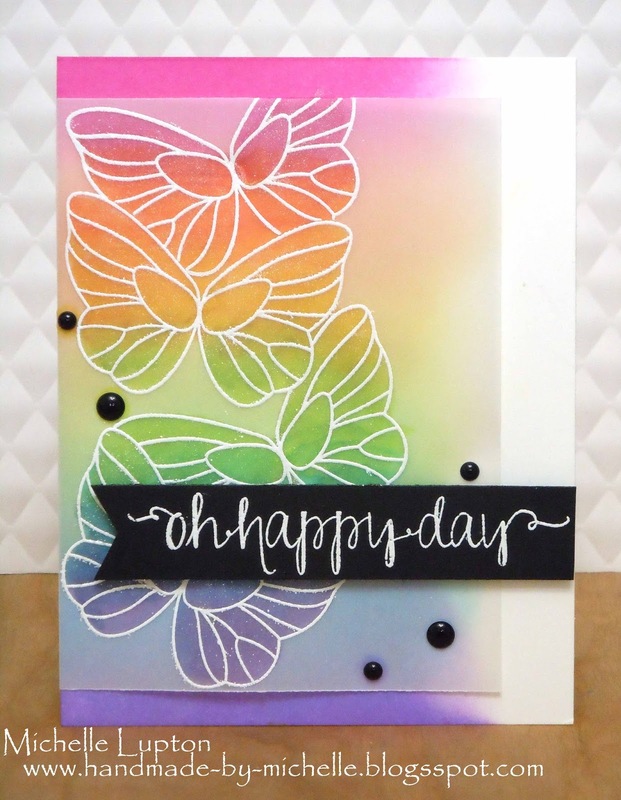 Make sure you visit the first post of this month to link up your rainbow creation! 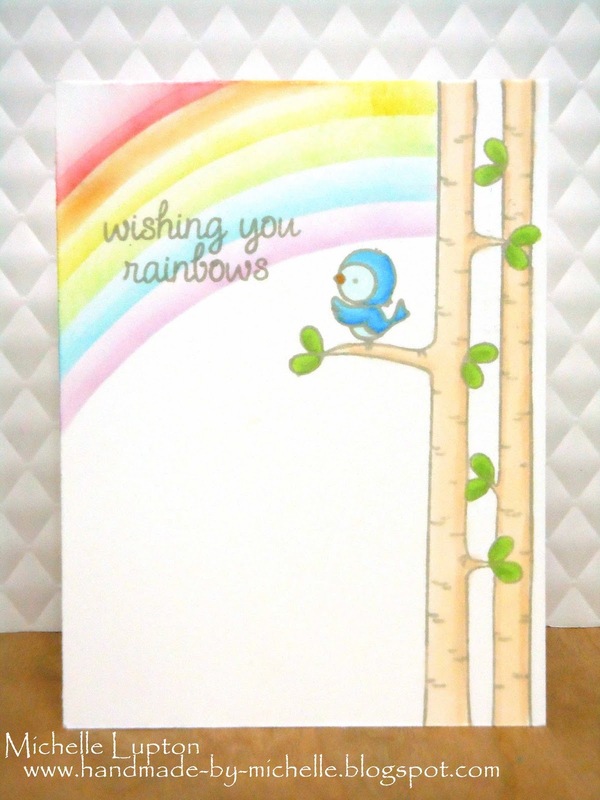 Ilina here today with another Rainbow themed card, this time using some Hero Arts goodies. 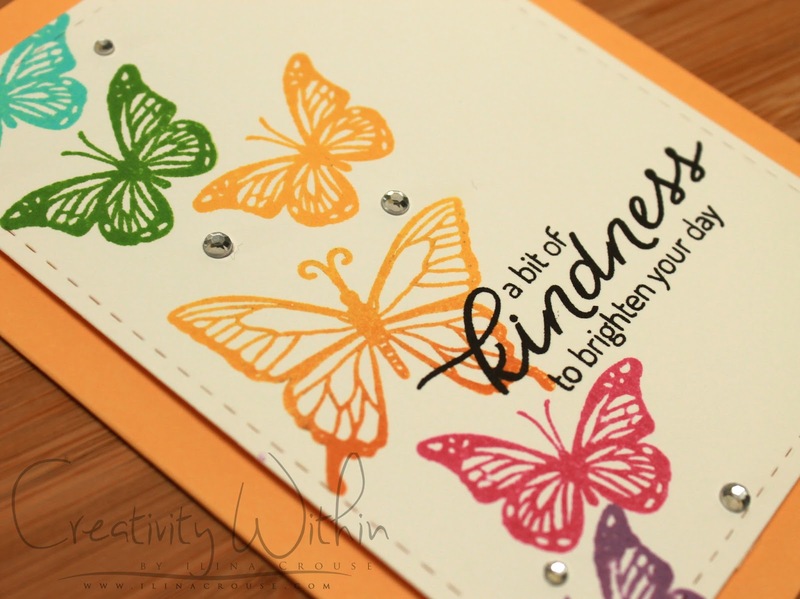 For my card I used the Butterfly Pair stamp and cut set and stamped the butterflies in rainbow colors and order. For the large butterfly I used two inks: Butter Bar and Soft Apricot. I inked the top part of the large butterfly with the Butter Bar ink, then the bottom half with the Soft Apricot, and made sure that the colors were overlapping. Then I stamped onto my piece of Neenah white card stock. 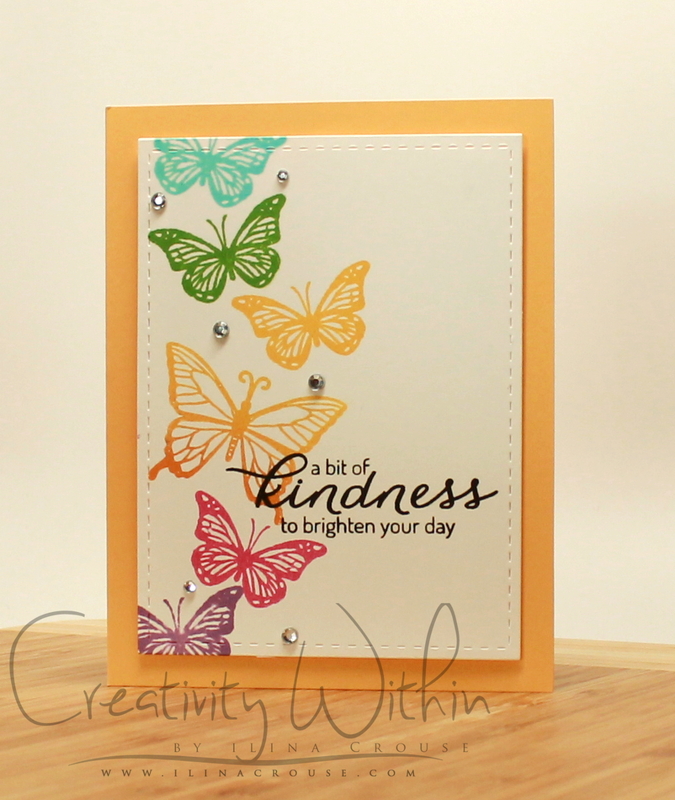 When I was done with the butterflies I stamped the sentiment from the Act of Kindness set using Versafine Onyx Black ink. 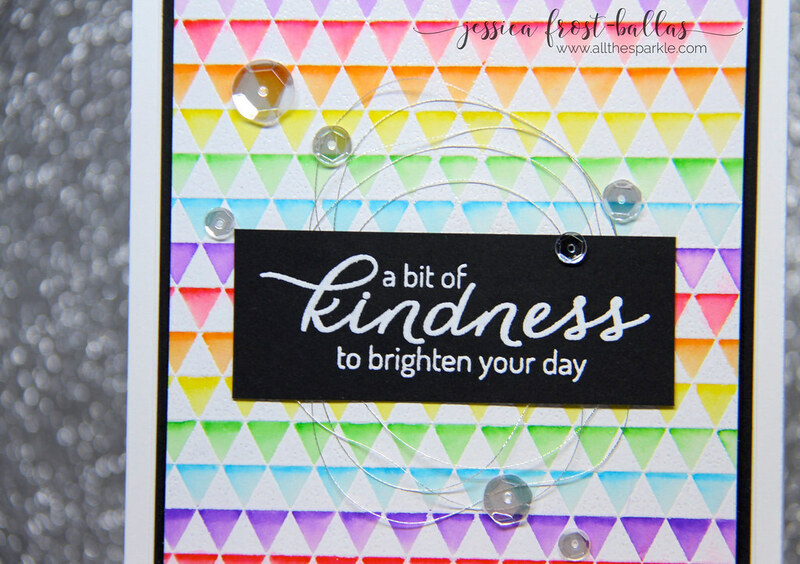 Finally I die cut my panel using Lil’ Inker designs stitched rectangles dies and adhered my panel to a Sunshine assortment note card and added some clear gems.